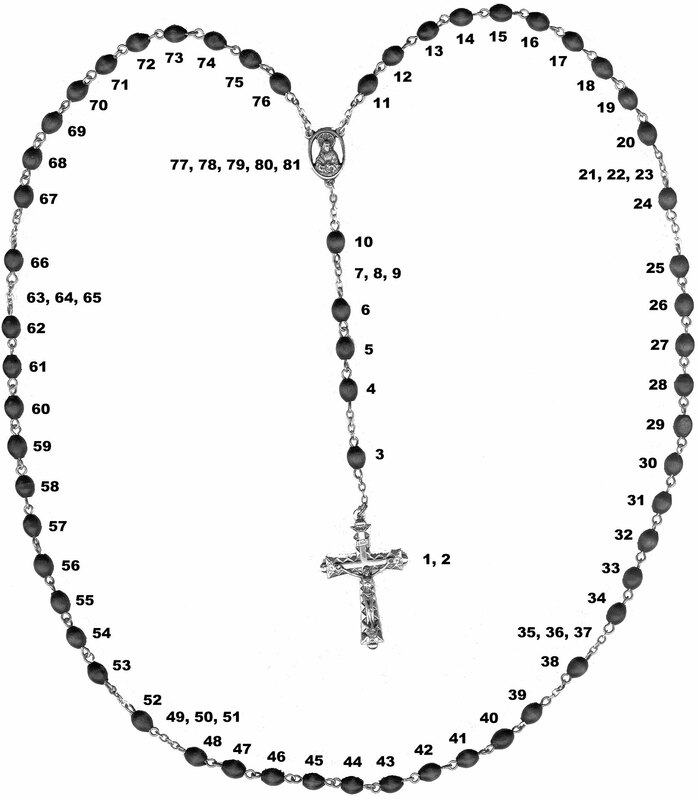 Below you will find tabs with specific information on how to pray the rosary. As shown in tab three. And Meditating on the Mysteries. As described in tab four. 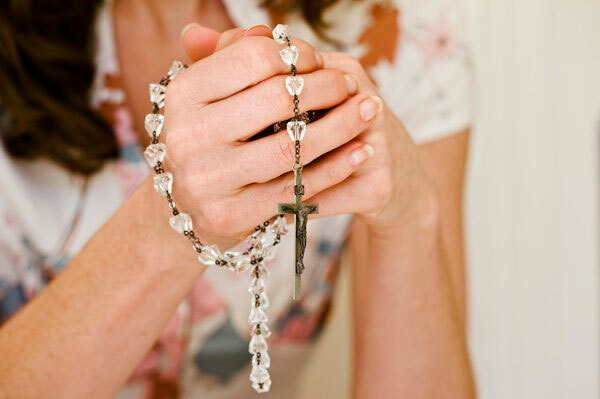 The Rosary can be a little intimidating for first-timers or those with little experience. However, it’s actually quite intuitive and simple once you understand the purpose of the prayer. The Rosary is a Scripture-based prayer. It begins with the Apostles’ Creed, which summarizes the great mysteries of the Catholic faith. The Our Father, which introduces each mystery, is from the Gospels. The first part of the Hail Mary is the angel’s words announcing Christ’s birth and Elizabeth’s greeting to Mary. St. Pius V officially added the second part of the Hail Mary. The Mysteries of the Rosary center on the events of Christ’s life. There are four sets of Mysteries: Joyful, Sorrowful, Glorious and, added by Pope John Paul II in 2002, the Luminous.